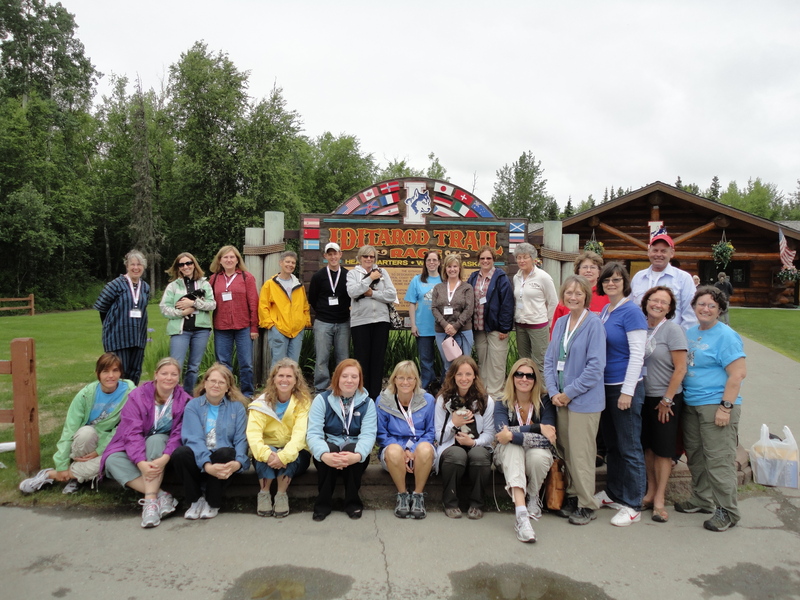 Iditarod Summer Camp For Teachers! There are about 24 teachers (the largest number ever) gathered in Alaska for the Iditarod Summer Camp For Teachers. We are all here to collaborate and learn how to make the Iditarod a valuable classroom tool. 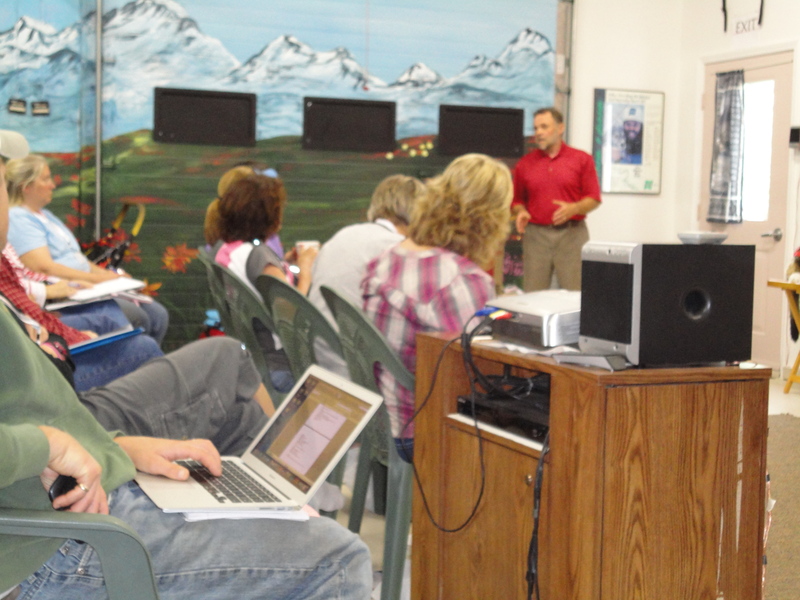 We began the camp at Iditarod Headquarters in Wasilla on June 24. Teachers are here from Wisconsin, Florida, California, Ohio, New York and Texas to name a few – we even have a teacher from Germany to make this a true International event. From Iditarod Headquarters in Wasilla, we traveled to Vern Halter’s Dream A Dream Kennel in Willow, Alaska. All of us squeezed into the Lee Larsen Training Center and grabbed a bunk or bed. What a great way to get to know each other! After meeting the dogs and walking with puppies, we were treated to dinner by Chef Extraordinaire – Terrie Hanke. After dinner we heard from Terrie and Blynne Froke about their trail adventures as Iditarod Teacher on the Trail™. Most campers fell into bed in complete exhaustion. For most, it was their first night with a 3 or 4 hour time difference. If there was “sawing logs” I didn’t hear it, I was sound asleep. We woke up early on the 25th and were eager to head outside to pet the dogs and take a puppy walk. Vern also treated half the teachers to a dog ride in an ATV. I don’t know who was more excited – the dogs or the teachers. The day was filled with teachers sharing lesson ideas. The Iditarod covers such a wide range of learning opportunities that includes Math, Science, Language Arts and Social Studies. We cover all age groups and all disciplines, and we are all getting ideas from each other. The collaboration here this week is amazing – and it’s only MONDAY! The day ended with a fantastic meal by our gracious host, Vern Halter. My bunk mates and I had a full day and – even though it’s daylight at 10:30 – we are all ready to saw some logs.